Munich - FC Bayern Munich defender has capped off another superb twelve months with a second consecutive Austrian Footballer of the Year award. The 20-year-old, who recovered from injury earlier this season to feature in ten of his club's league matches thus far, was selected ahead of FC Schalke 04's Christian Fuchs in a poll conducted among coaches in the Austrian Bundesliga. 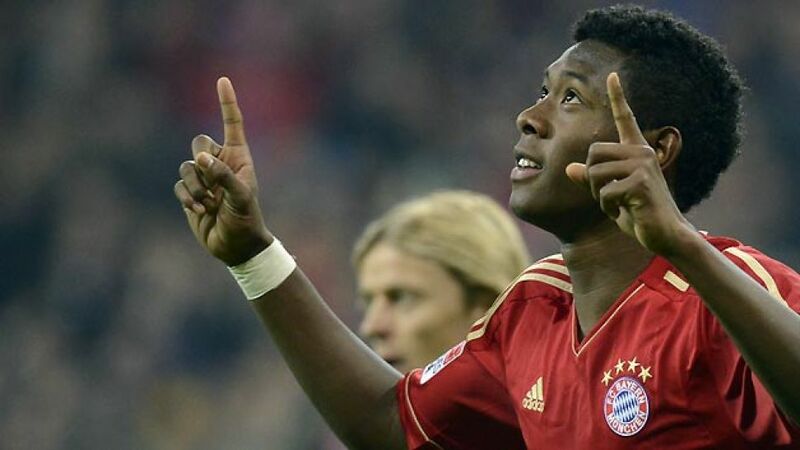 "It's a huge honour for me," said Alaba. "I'd like to thank all the coaches who voted for me, as well as my family, my friends and God, who makes everything possible." The left-back becomes only the fifth multiple winner of the award, which started in 1984.